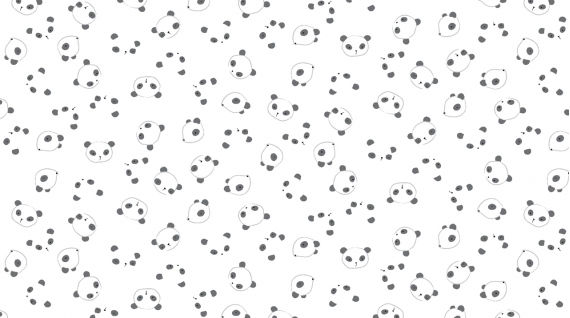 Aren't these little floating pandas just the cutest thing ever?!?! 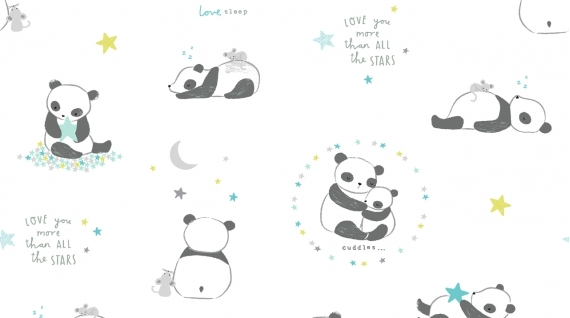 You can view and purchase these Dear Stella flannels at Fat Quarter Shop --not affiliated just an enabler!! I just had to do one more!!! 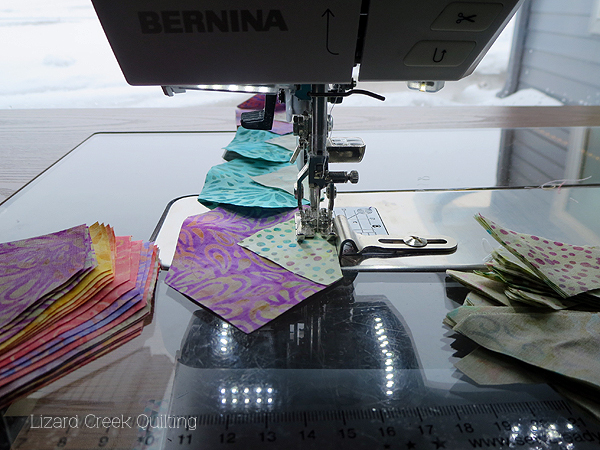 I forgot to take photos before I sent adorable bibs off to AccuQuilt--so this is captured from their site. You can find the free pattern I designed and wrote for these adorable bibs HERE on the AccuQuilt site. 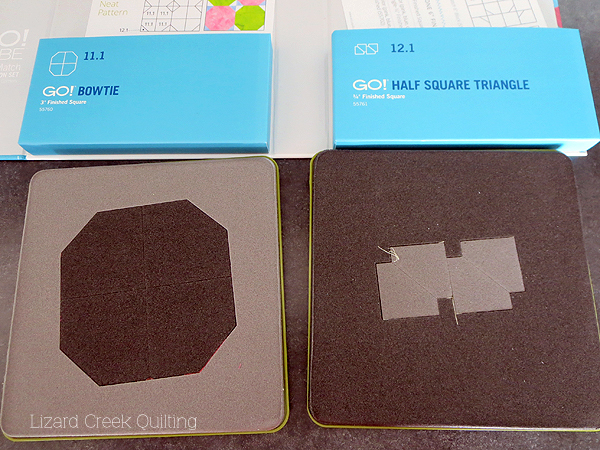 They were super fun to design and even easier to sew with the new GO! Bib die!! 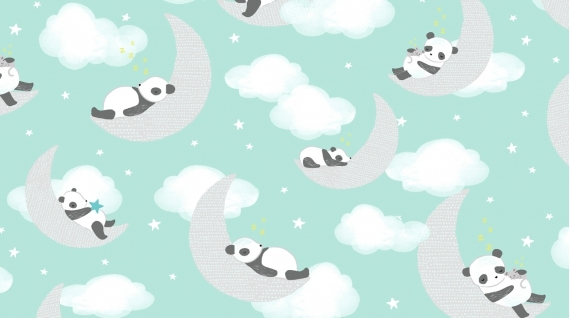 I am an AccuQuilt affiliate--you can use the Shop Now button in the sidebar to purchase the dies needed to make these little cuties--GO! 8" Mix & Match Qube #55776, GO! Circles #55864 and the brand new GO! Baby Bib #55864. ....Vintage Reimagined...."Take something from the past and give it a personal touch that is yours. Inspiration can come from anywhere!" A quote from our assignment the month of March. My Mom gave me this scrapbook that was found in my paternal Grandmother's things after she passed away. Inside are Kansas City Star newspaper clippings that my paternal Great Grandmother cut out and pasted in the book. Every page has 2 clippings. 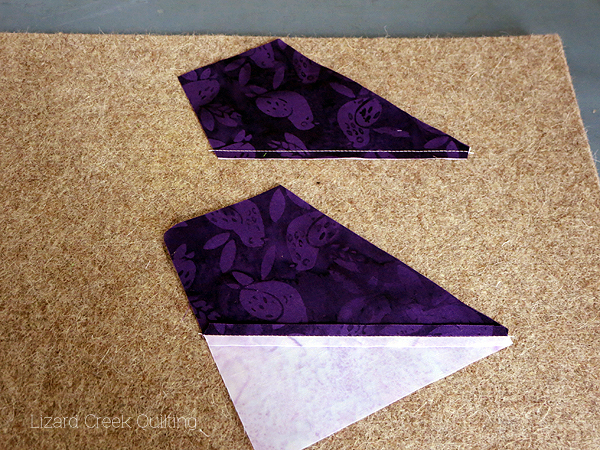 The page edges are getting brittle, but the binding is still intact. 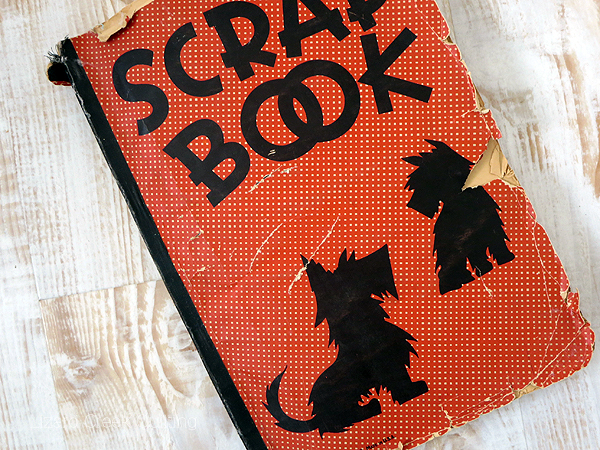 The scrap book lives on a book shelf in my long arm studio. 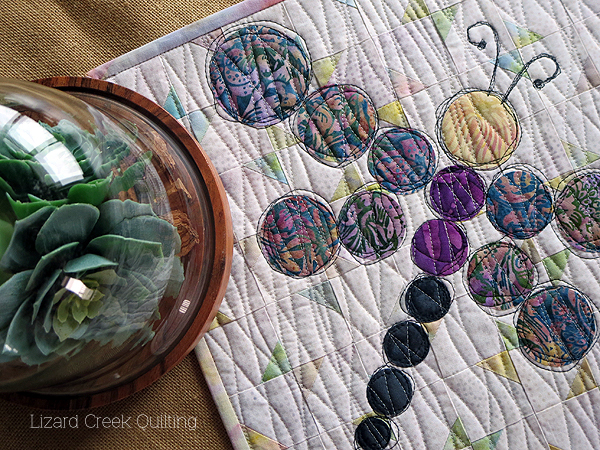 How cool is that--it now lives in a studio with a quilting machine that wasn't even invented when these clippings where so lovingly cut out and saved. To my knowledge my Grandmother did not quilt---but she could do amazing mending on Grandpa's bib overalls!!! I also don't know of any surviving quilts from my Great Grandmother. 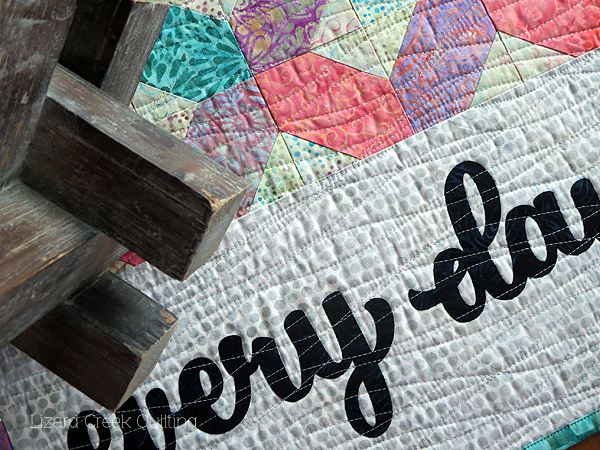 I don't even know where my Great Grandmother lived---oh if I didn't have a quilting addiction I would so enjoy doing geneology!! The clipping dated February 10, 1937 from the scrapbook caught my eye for this month's challenge. Here is what The Kansas City Star says about The Nosegays, "This is an excellent design to try when you desire to make use of odds and ends in your scrap bag. All diamonds and squares may be made of prints. The pattern was contributed by Mrs. Anna A. Threlkeld, Waynesville, Mo." Copywrite 1937. There are no further instructions than what you see here. 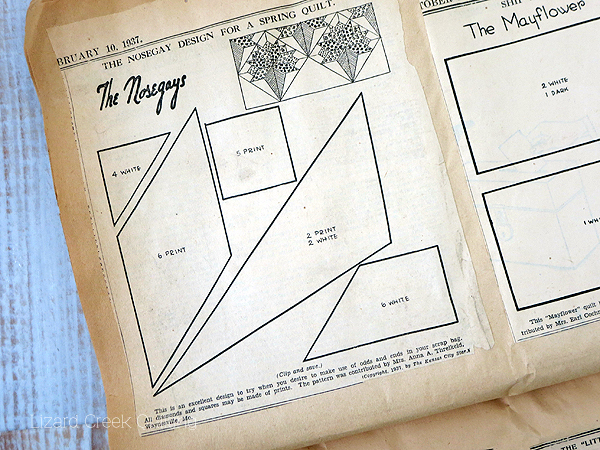 The templates do not include a seam allowance--I read that on another clipping. So I guess you just dive in and do it!! I can say that this Nosegay block has always intriqued me. 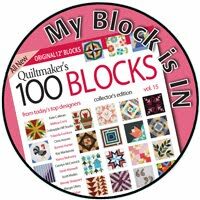 So much so, that when I designed 72 blocks for the AccuQuilt Angles Qubes in 2017 I had to include an easier but similar looking block. The block is called Splendor. 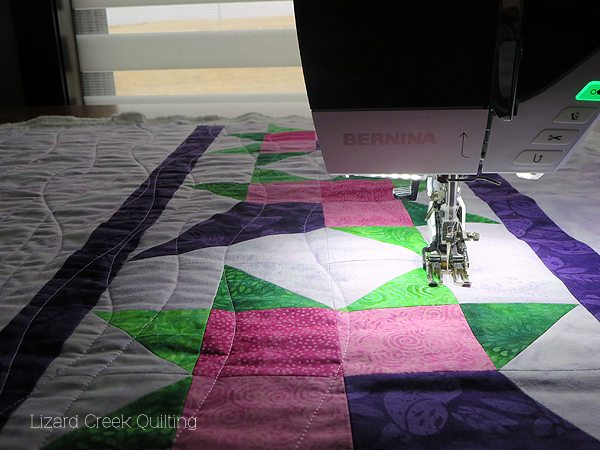 Squares, half square triangles, kite shape and side triangles all cut with the 10" AccuQuilt Mix & Match Qube and Angles Qube. 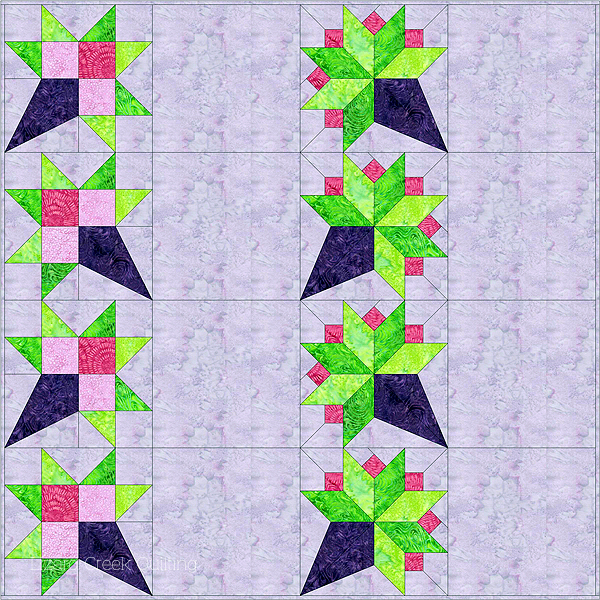 Here is an Electric Quilt drawing of the two blocks side by side. The same, but different. Simplified. A tip when pressing the kite shapes. I like to first set the seam by pressing the unit before opening the seam. Finger press the seam open. Then I lay the unit straight horizontally on the pressing mat so the iron can just simply set down on the seam to press open. 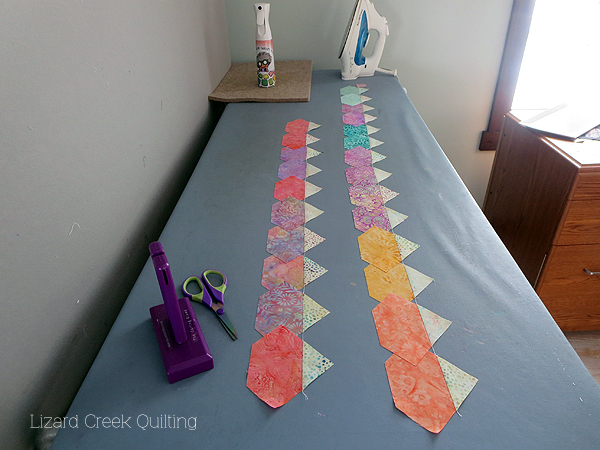 Long wavy quilting lines seem to be my go-to lately!! 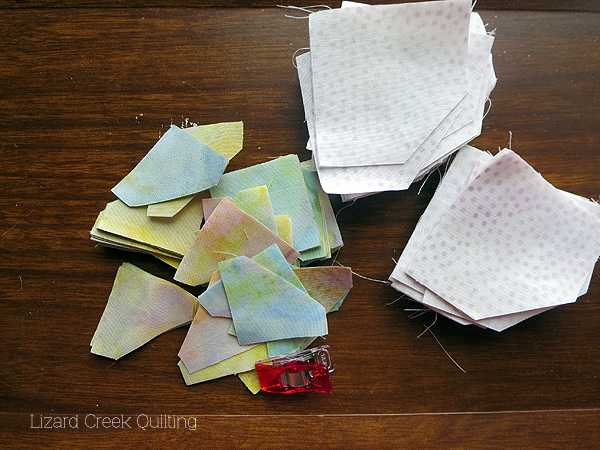 Aurifil Light Orchid #2515 was the perfect blend of pinky purple color!! The snow has all melted!! Can't wait for the world to start greening up again!!! “Give of your splendor to everyone. 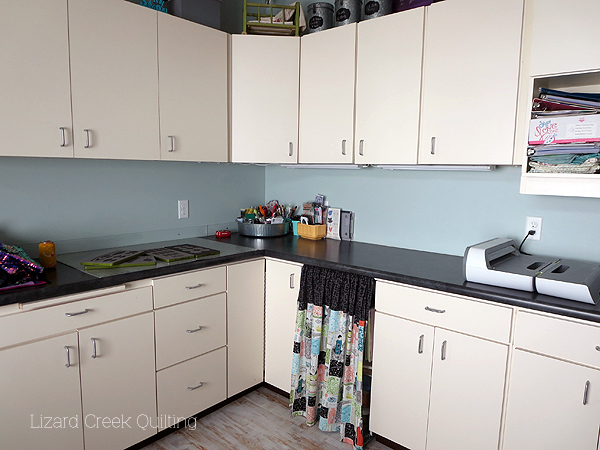 Thank you to Island Batik for the fabrics, Aurifil for the piecing and quilting threads, and Hobbs for the batting in this project. 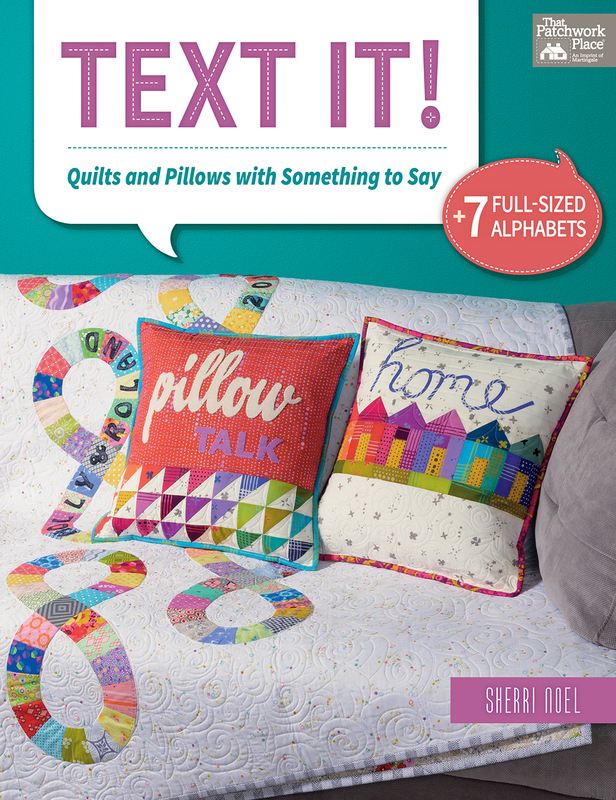 Hello and welcome to the blog hop for Text It....Quilts and Pillows with Something to Say!!! First off--don't you just love the name--and then just look at the cover!! The colors in this book are so amazingly happy that a smile was on my face the whole time I read it!!! 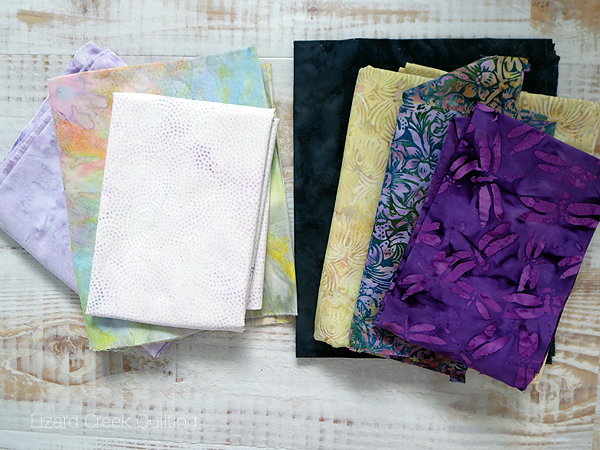 Sherri picked just the right colors for each project. 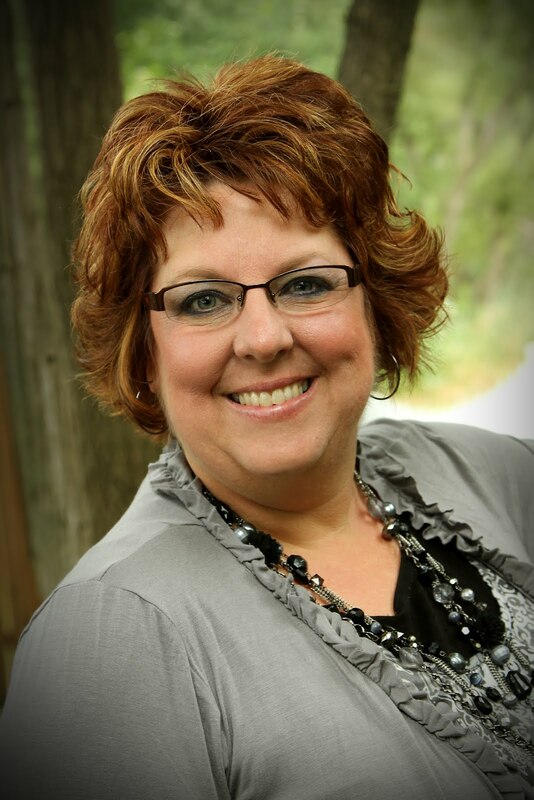 If you want to get your very own autographed copy from Sherri HERE. The book can also be found on AMAZON. There are also amazing giveaways, but that will come later...first let's get to the project I selected for the hop. 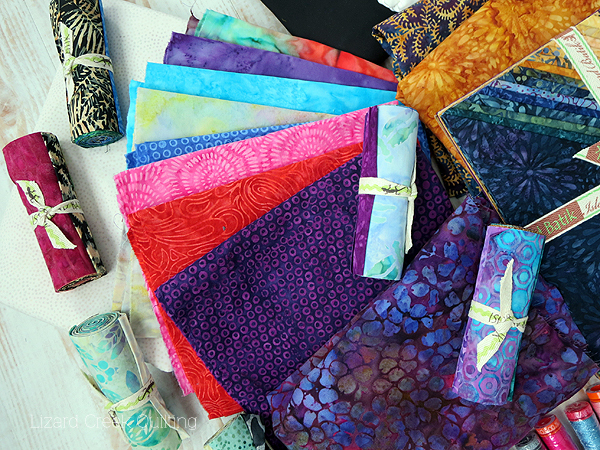 I started with these soft and cheerful colors from Island Batik's line called Ditty!! 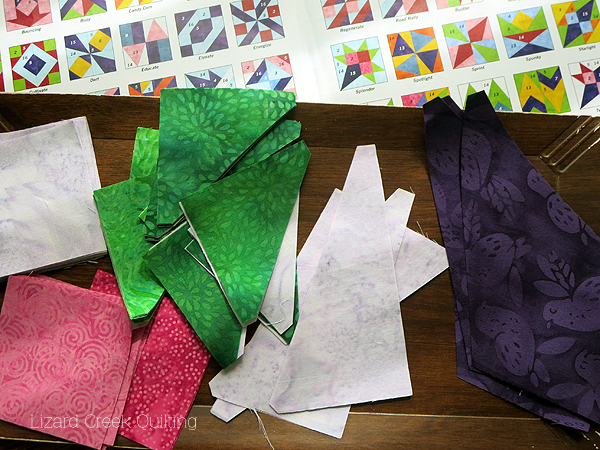 Such pretty shapes all ready to sew!!! 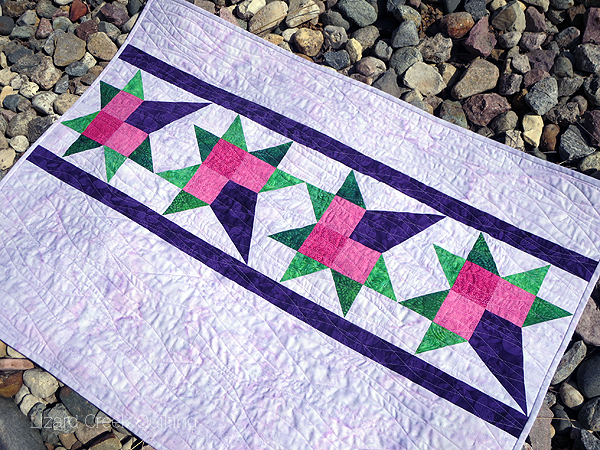 Did some chain piecing on a blustery and snowy day in March!! All the pretty colors!! 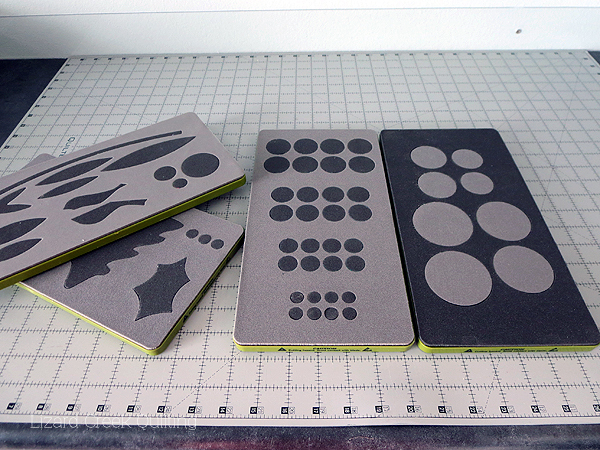 Sherri's directions were very clear with easy to cut pieces. 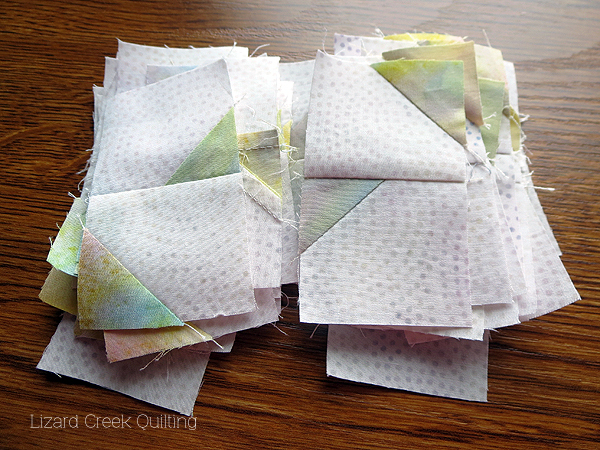 I tend to be an AccuQuilt quilt cutting type gal--so that is what I used. As my readers are well aware, I tend to be a procrastinator with most all of my projects!! 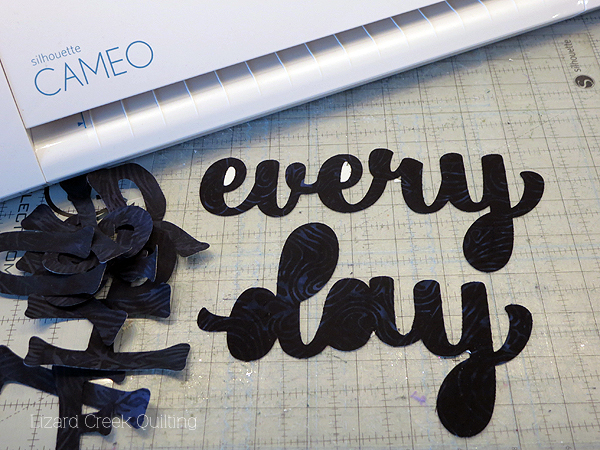 Silhoutte to the rescue for cutting the letters!! I like to use batiks for letters when using the electronic cutting machine as they have a tighter weave so the cuts are nice and clean!! 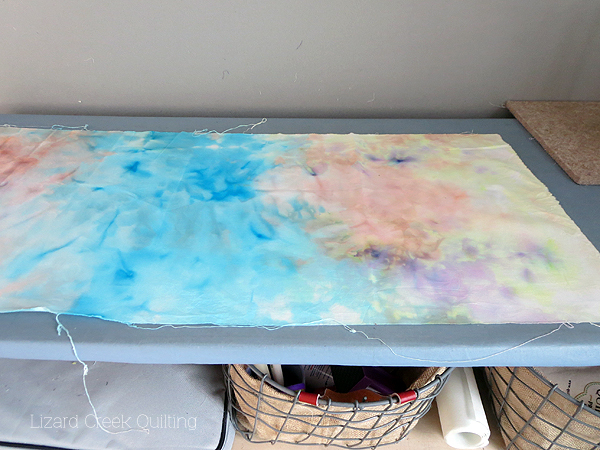 Found this fun piece that I tried snow dyeing with last winter--great for the back!! ....and turn it into a wall hanging. I am planning on hanging it over a door in my sewing studio. Just the reminder I need!! Sherri's project in the book is a pillow--and it was super cute!! 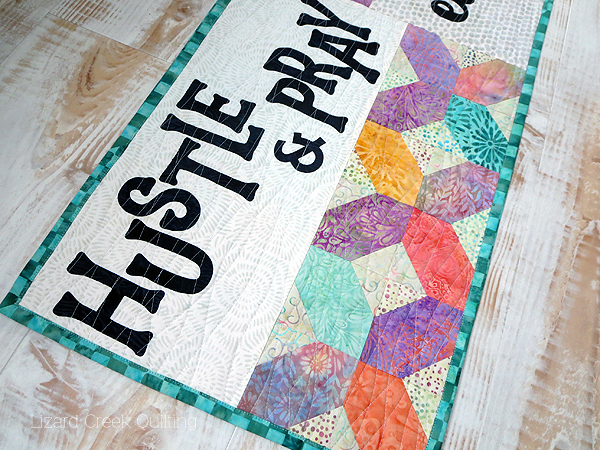 I just doubled the amount of X blocks, trimmed the word space down a bit and basically just sewed two pillow tops together to make the wall hanging!! I love it---thanks so much Sherri for the inspiration!!! Now for some extra fun!! 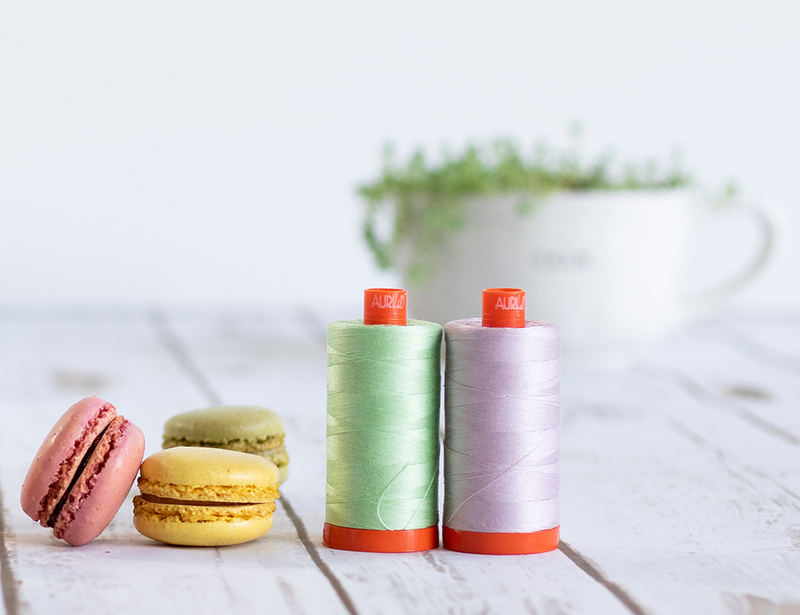 Aurifil has graciously donated 2 large spools of thread--color will vary from photo--to one of my readers. Oh, but there is more, Martingale is offering a hard copy of this lovely book to one of my U.S. readers. Leave a comment on the blog with your favorite spring flower and any memory that it might spark!! Below is the complete list of participants...there may be more giveaways there too!! Grab a cup of tea and sit for a while!!! Another round with Island Batik!! 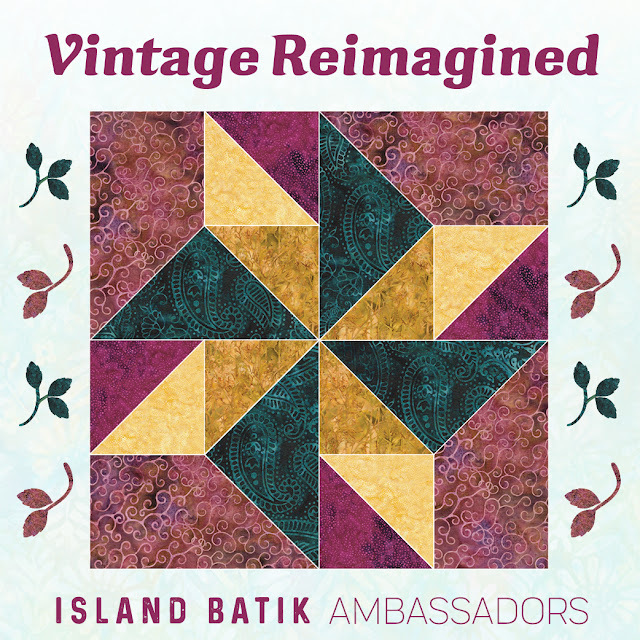 Super excited to be selected as an Island Batik Ambassador for 2019!!! 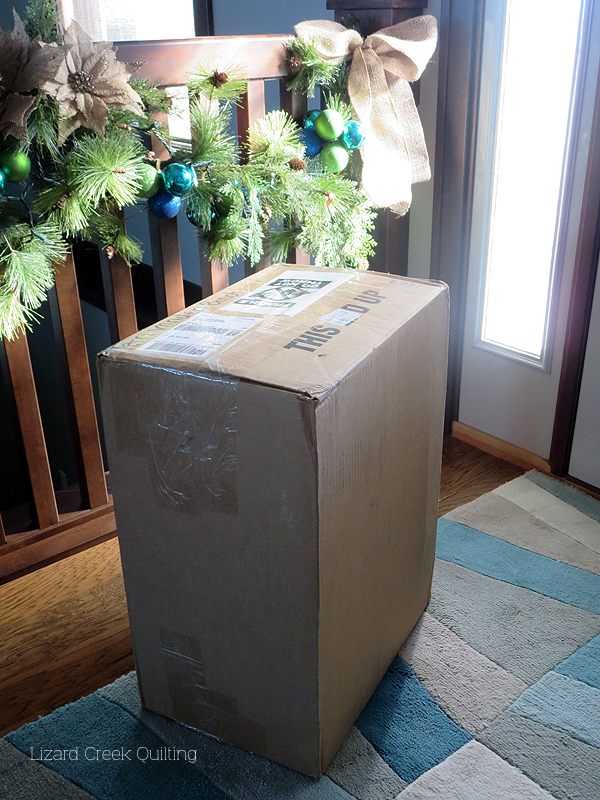 This box--all 42 pounds of it arrived at my door the middle of January!! So yes I am a bit late in posting the "unboxing". On the day set up for the "unboxing" posts to happen--I was in Carlsbad, California at the actual Island Batik home office!! Caleb Willis, pictured here with me, gave my husband and I a personal tour of the facilities. OH WOW that was super super cool! So glad that my husband was along as he asked the best questions!! And Caleb graciously answered all of them!! I was enjoying myself so much that I forgot to take any other photos!! The place is meticulously organized. Rainbows of colors line the towering shelves holding the bolts of fabrics. 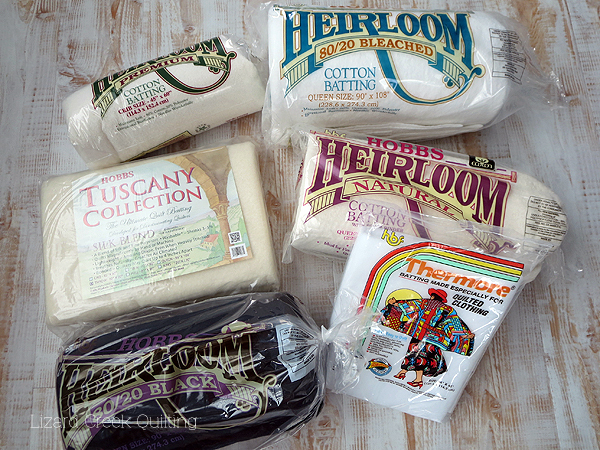 Oh the quilts waiting to be made in that warehouse!! 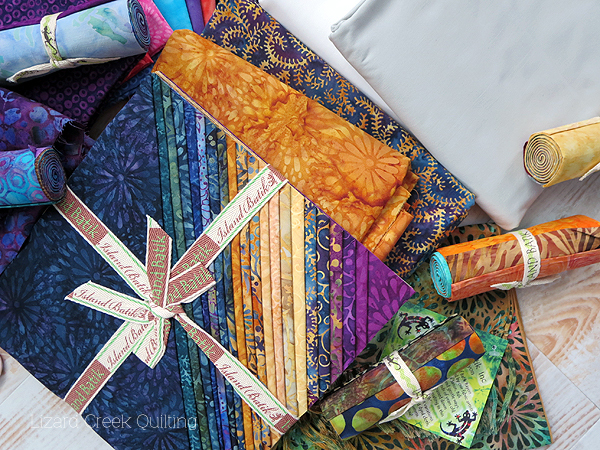 From the Island Batik home office--Quilt in a Day is just a short 10 minute drive--so the first day of our winter get-away in California became a quilt shop hopping day!! Eleanor Burns pulled into her special parking spot just as we were walking up and she suggeted a quick photo op!! Too cool! I have to admit that I did open the box before we left--but just now took the time to photograph all the lovely for you to view!! Lovely threads from Aurifil they are a sponsor again. 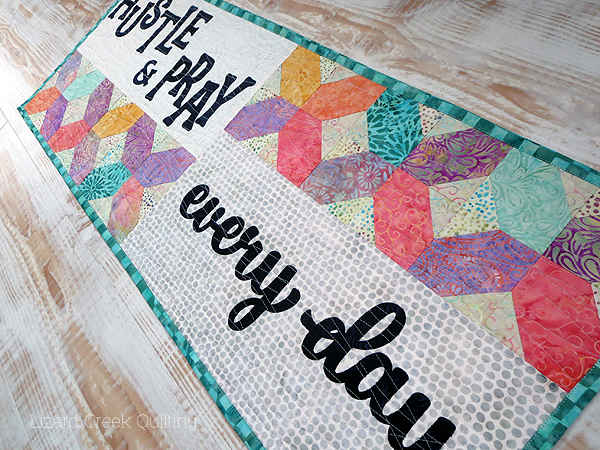 Watch for a Thread Play challenge later this year. ...so many pretty colors!! The purple/blue piece is a 2 yard cut of rayon--I am thinking that some kind of kimono might be in my future sewing plans. The much loved Twilight Chic line for Deb Tucker!!! Might have to try using one of her rulers for a project with these!! 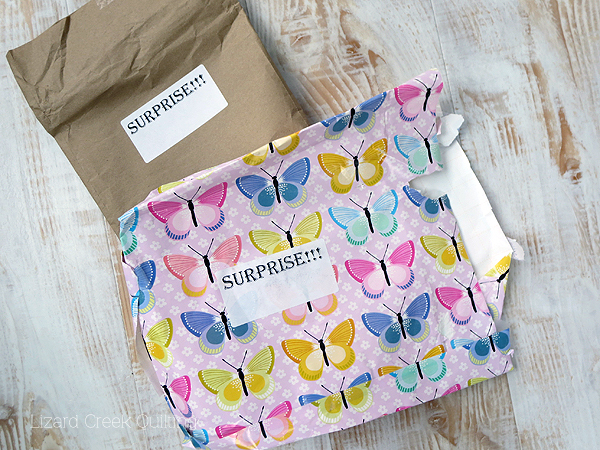 You have to wait until August to see what was in these packages--but I can tell you this--the colors will electrify you!!! All these amazing battings were supplied by Hobbs!! 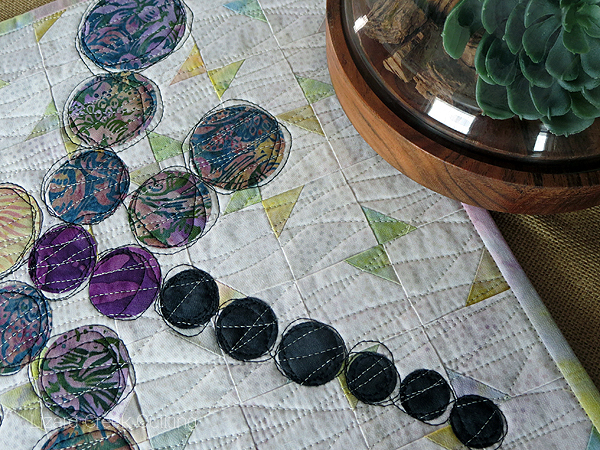 In all the years I have been quilting, I have never tried black batting. Now I can!! 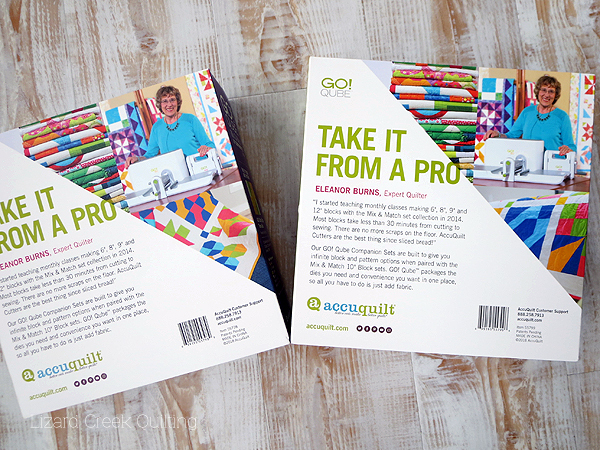 AccuQuilt is a new sponsor to the Ambassador program this year! Super cool!! I do some freelance designing with them, so I was given the opportunity to choose which dies I would like sent as part of the Ambassador program. 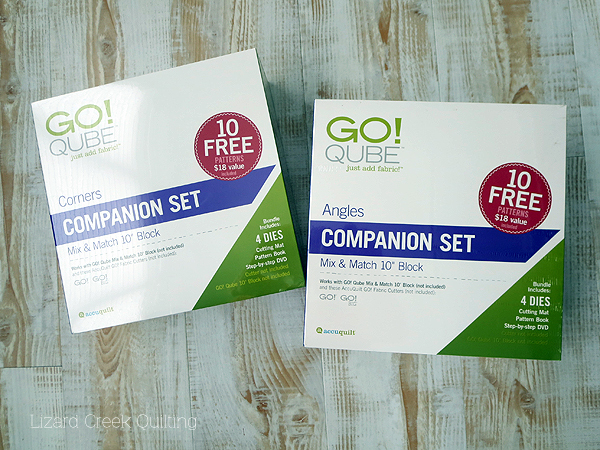 I went with the newest Qube Companion sets--for a 10 inch 4-grid block. Most of the other ambassdors were sent the Ready, Set, Go--a great beginner package!! I just had to add this photo of the Qube jackets. Eleanor Burns again!! 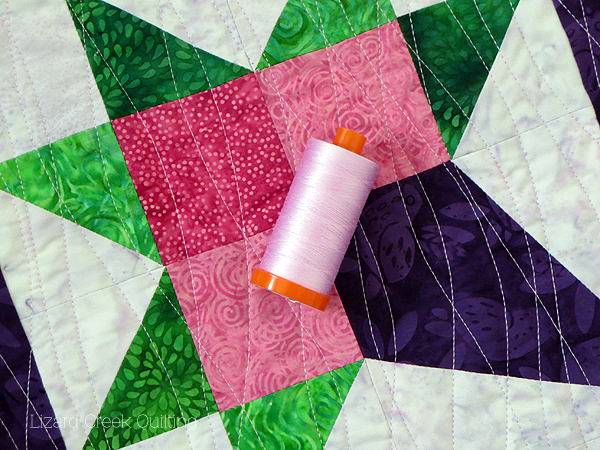 The brightly colored sampler quilt at the bottom of each photo was made by me and uses some of the 72 Angles and 24 Corners blocks that I designed for the Qubes. Way cool!! I will leave you with this beautiful sunset over the Pacific Ocean from our last night in California! Check out the link HERE for all 50 other Ambassadors for 2019!! So many great ideas coming your way this year!!! Super excited to be an Island Batik Ambassador again for 2019!! Let the monthly challenges begin. 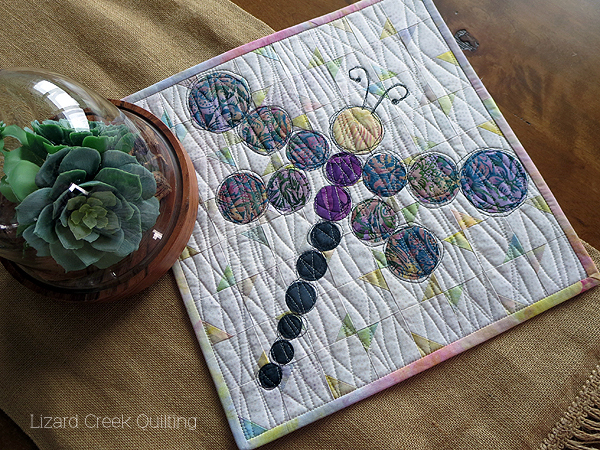 February the challenge is to make a miniature quilt less than 24" x 24". 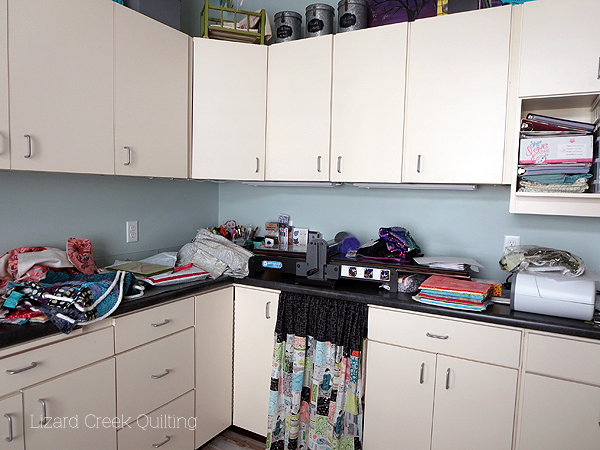 This was the state of my sewing studio before I started--not even a speck of clean space to work!! Ahhhhhh...now some breathing room...let the creating begin!! I find it hard to start a new project in a messy studio--although I have no problem making a mess while creating and sometimes find inspiration in the surrounding pieces of previous projects. So a never ending cycle!! I had a general concept--concept being the key word--when I started. 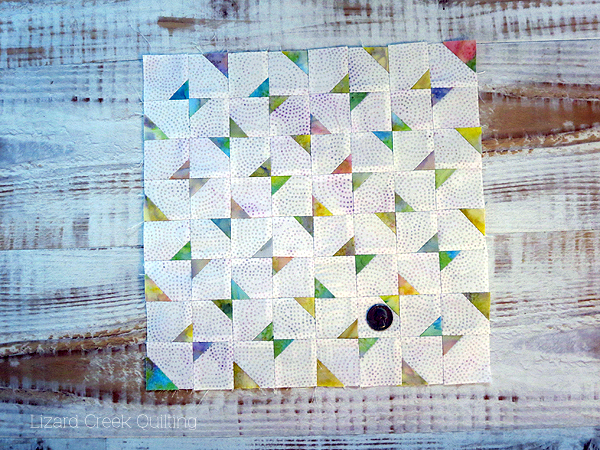 A soft neutralish pieced background, with a "pixelated" circle applique on top. This quilt is going to do some double dipping--Island Batik assignment and Project Quilting 10.4 pixelated challenge of the week. dies included in the Corners Qubes. 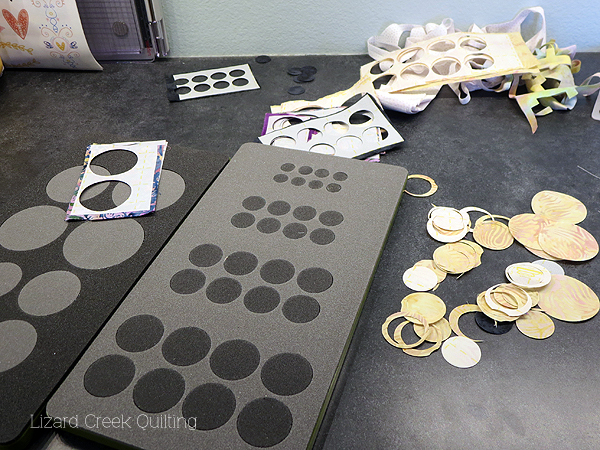 I am using dies from the 6 inch Qube. Just look at those tiny pieces!!! 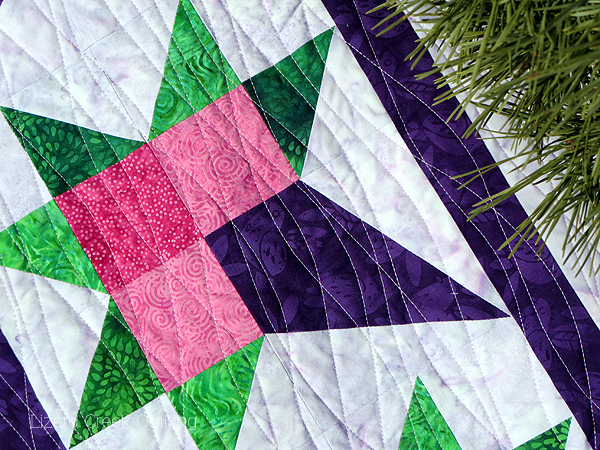 The half square triangles have a finished size of 3/4 inch!! The pretty multi-colored fabric is called Moonstone. The triangles were cut from one width of fabric. Look at all the variety of colors in just one strip!! Fabric closeup time!! Love the swirling dots on that neutral. This one is called Almond--a little gray dot swirl with mostly white background and a little bit of light purple/pink mottle. 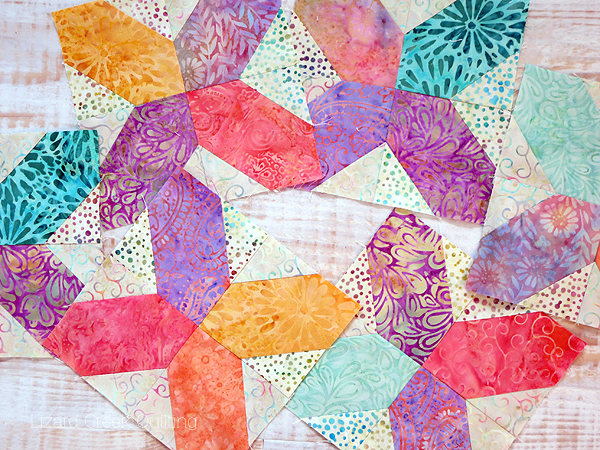 Background all pieced together--12" x 12"!! Each sqaure finishes at 1 1/2". Quarter there for reference. Photoshop overcorrected the colors in this photo--as they are a bit too bright. Now to add the pixels!! 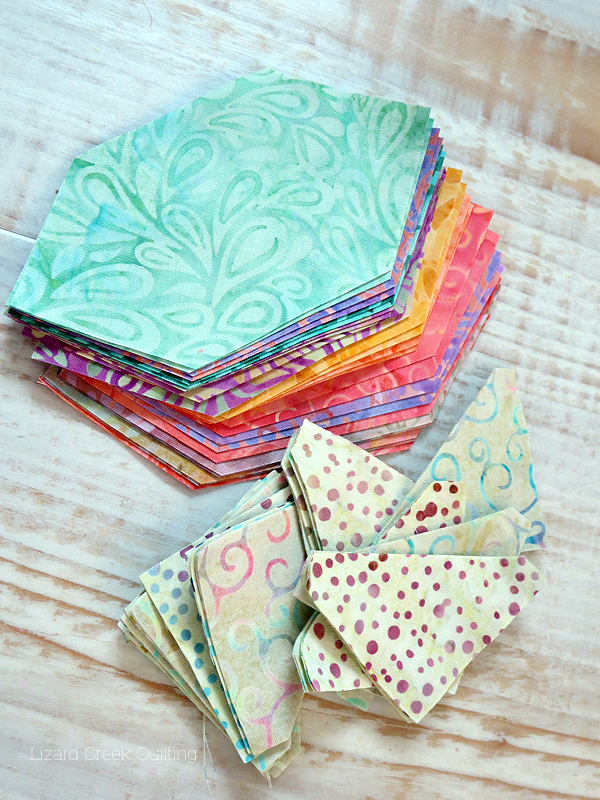 I used the circle dies #55484 and #55155--but wanted to remind you to look at all your dies for multipurpose use. The circles included on the dies to the left could have worked also. Use what you have and think creatively!! Making a mess and changing my mind more than once!! 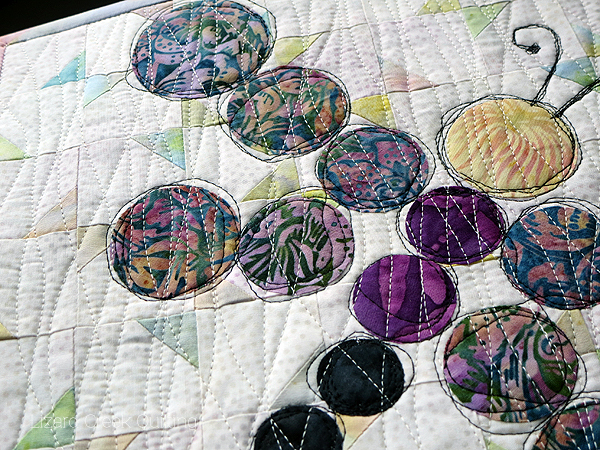 Lite Steam a Seam 2 is the fusible I chose most. The sticky back lets the shape stay put or be moved around before applying heat for a more permanent fuse. 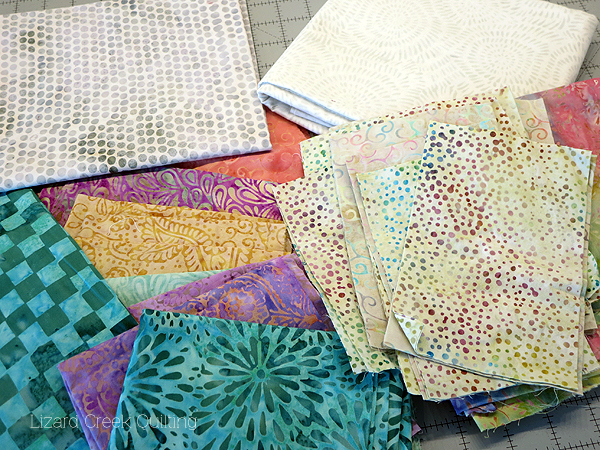 Now to get to the inspiration for this quilt. 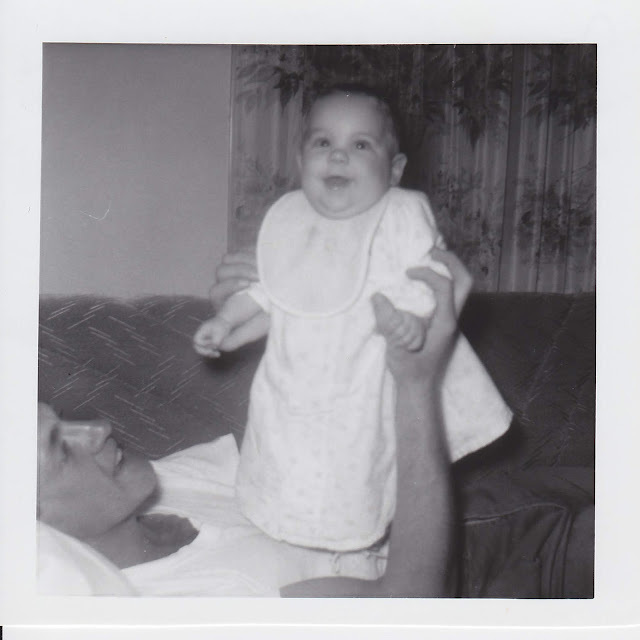 A picture of my Dad and I at 6 months old. Sad to say that I never lost that precious double chin--LOL. My Dad was diagnosed with Parkinson's Disease when he was only 42. Quite the shock to a hard working self employed farmer and his family. He fought bravely for 25 years. He passed away 13 years ago--seems like yesterday and a million years all at the same time. A side effect from one medication needed to help control his tremors would give him "floaters". He would "see" dragonflys floating in his periphial vision for a short while after taking the medication. They would leave after a bit and not come back until he took the medication again. This has prompted my Mom to collect dragonflys over the years. 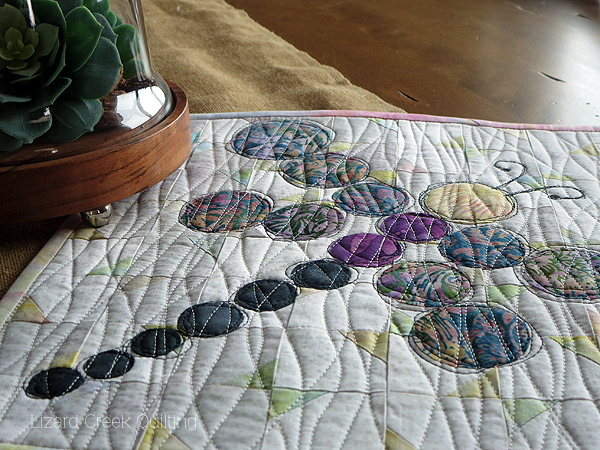 So I give you Floaters....a memory remade with fabric. 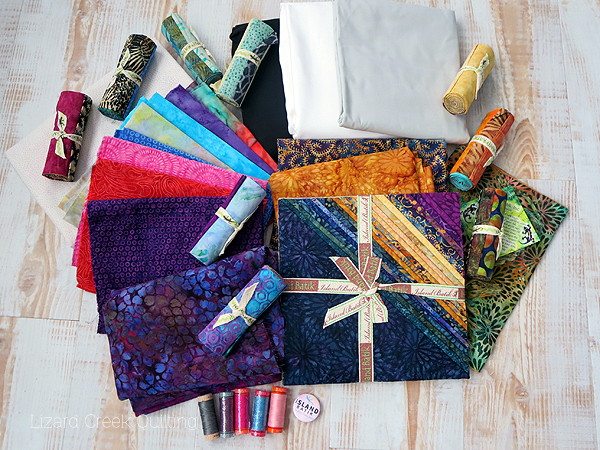 Thank you to Island Batik for the amazing fabrics, Aurifil thread for piecing and quilting, and Kim Lapaceke for the Pixel Challenge.